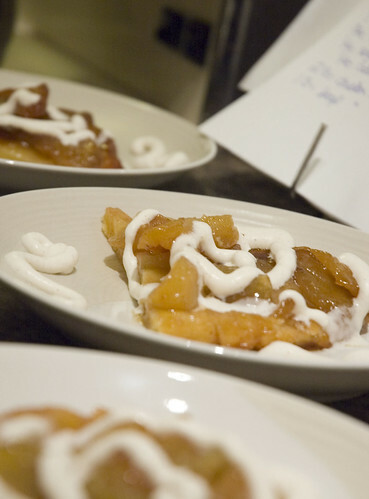 Tatin means France to me. When I was in my second year of university, I was toying with the idea of a third-year exchange overseas (I mean, who wouldn't want to live in France for a year???!!!?? )....initially, I had thought about going to Nice, where there was an established exchange program, with over 35 Canadian students going. But then M. Tatin stepped in. And I was no longer going to Nice. M. Tatin was a charismatic, compelling speaker...he milked emotion through his words, and conveyed enthusiasm like no one I've ever spoken to. And M. Tatin was there to promote the town of Tours. And so I went to Tours. M. Tatin was a 'dixhuitièmiste" (French literary specialty involving the enlightenment period in the 1700s)...so of course I took all courses I could find in this era. M. Tatin was SUPPOSED to be our exchange advisor, yet magically could almost never be found. M. Tatin, while compelling, was also elusive, frustrating and absolutely the worst administrator I've ever met. But I still look back SO fondly at this man whom I'm certain doesn't remember me, but due to this tarte, whom I can't ever forget. I have never made this before. It was a bit of an adventure....but one that I'll happily indulge in again and again....and it was also a fabulous way to break in my brand new cast iron skillet. WoohoO! I based this on Mark Bittman's recipe (I love that man) with a few north-americanised changes...like the addition of a little sacriligious cinnamon and vanilla bean....not authentic, but I like it. 1. 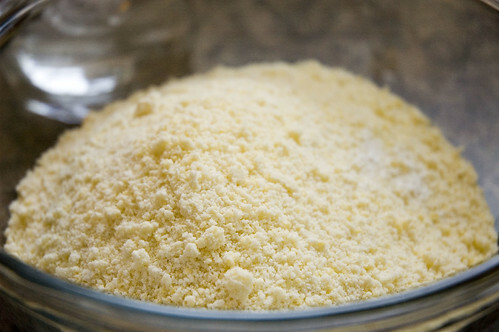 Make tart crust - combine flour, salt and sugar in the container of a food processor. Pulse once or twice. Add the butter and turn on the machine. Process until the butter and flour are blended and the mixture looks like cornmeal, about 10 seconds. Add the egg yolks and process another few seconds. 2. 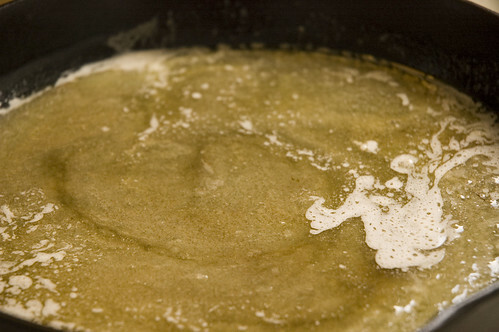 Place the mixture in a bowl and sprinkle 3 T of water over it. Use a wooden spoon or a rubber spatula to gradually gather the mixture into a ball; if the mixture is dry, add another T of ice water. When you can make the mixture into a ball with your hands, do so. 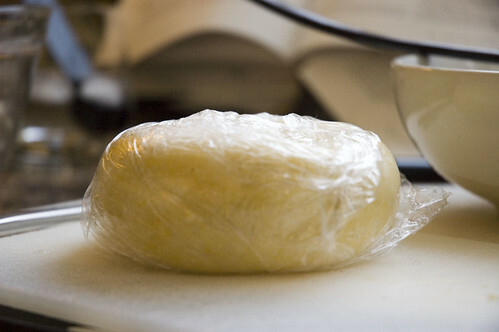 Wrap the plastic, flatten into a small disk and chill the dough for 30 minutes. Ostensibly, this will ease rolling but it's still a HUGE pain. 4. Unwrap the dough and place it on the work surface. Sprinkle the top with flour. Roll with light pressure, from the centre out....if it seems extraordinarily sticky, add a little flour, but if it becomes sticky DURING rolling, just chill it a little bit. I actually tossed mine out in the snow (I had it on parchment paper) so I could peel the little bugger off. 2. 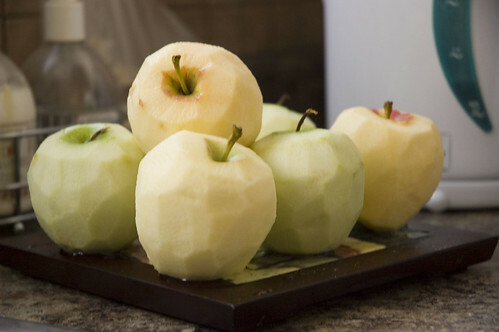 Peel core, and quarter the apples; toss with the lemon juice. 3. Melt the butter in a large cast iron skillet, and stir in the sugar, vanilla bean and cinnamon. Oooooooo....yummy golden goodness. 4. Press the apple slices into the sugar, arranging them in concentric circles and making certain to pack them as tightly as you can (they'll shrink). 5. Place the pan over medium-high heat. Cook for 15-20 minutes or until the butter-sugar mixture has turned a very deep, dark brown. While it is cooking, roll out the pastry. 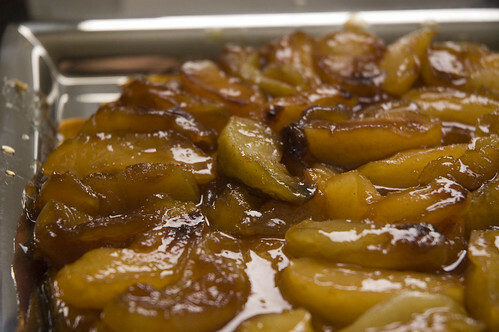 When the apples are ready, remove the pan from the heat. 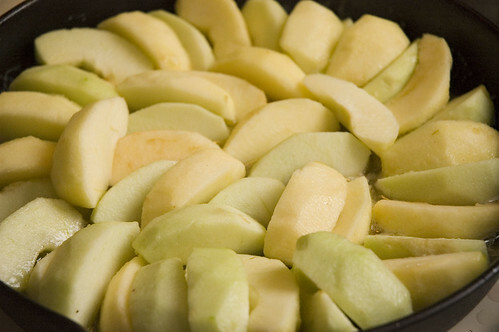 Lay the pastry on top of the apples, bringing the dough to the edges of the pan to seal it. Prick the dough with a fork and bake about 20 minutes or until the pastry is a luscious golden brown. Thanks for reading! Stay tuned for camping cooking adventures! I went to Tours on a three week exchange when I was 16. I love that city! How I wish I had half the cooking talent you do. In the future, when my life doesn't revolve around Grad school, I will have to try some of your recipes. Just how brown did you let it get on the stove top?! I kind of thought it would continue getting more caramelized in the oven, but it didn't really change much. This looks really good. I am bookmarking for apple season.